Sam Chung received his MFA from Arizona State University and his BA degree from St. Olaf College in Northfield, Minnesota. Between his undergraduate and graduate programs, he worked as a special post-bac student at the University of Minnesota. 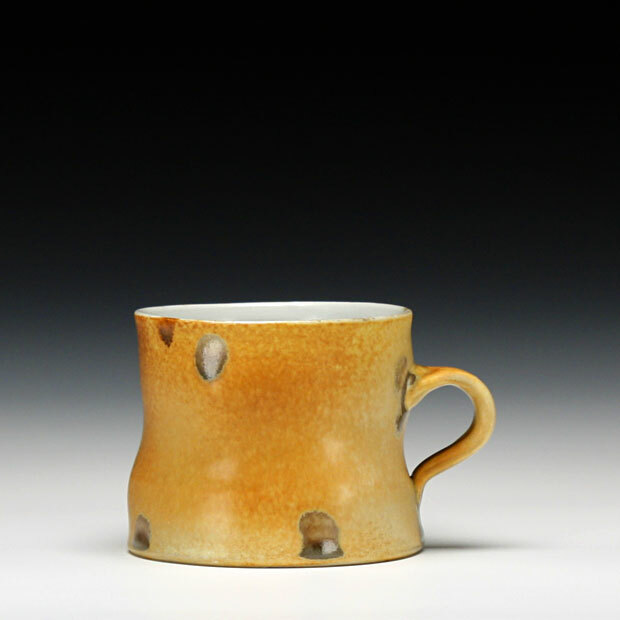 He taught at Northern Michigan University from 1998-2007 and is now teaching at Arizona State University in Tempe where he is an associate professor of ceramics. Sam has presented numerous lectures and workshops both nationally and internationally. A consistent point of departure for my work has been the ceramic vessel and grappling with the balance between form and function. I am interested in the way that pots have the unique ability to serve a multitude of roles and functions. They can be decorative, they can create nostalgia, they can reference history or places, they can bring attention to more tactile or ergonomic concerns, and of course, they can be used. I am also interested is in the challenge of creating pots that reflect our contemporary time while drawing from the vernacular of pottery shapes that have lasted for ages. I have an endless curiosity for form as it relates to the ceramic vessel. I am engaged in an ongoing investigation of where pottery has been, historically, and where it has a place in our present day life. The notion of function and containment has remained a strong point of departure for my ideas, although utilitarian function is not always the guiding principle in my work. My interest is in the challenge of creating pots that reflect our contemporary time while drawing from the vernacular of pottery shapes that have lasted for ages. I am also inspired by the process of design and merging its formal considerations with ideas such as ergonomics, ceramic and architectural history, utility, memory, and context. Through exploring ideas such as these, my work is intended to communicate on multiple levels and invite curiosity through the familiarity of pottery form.